There are many reasons why I absolutely adore these cookies. One batch makes a ton of cookies (75 sticks). They remind me of really good shortbread cookies. They taste FABULOUS dipped in coffee. I could have a few right now! I’m planning on making some for an upcoming party with a chocolate fondue. OH YEAH! In a stand mixer, combine butter, sugar, brown sugar, and eggs until creamy. Mix flour, baking soda, and cinnamon in a medium bowl until well combined. Gradually add dry ingredients to sugar mixture. 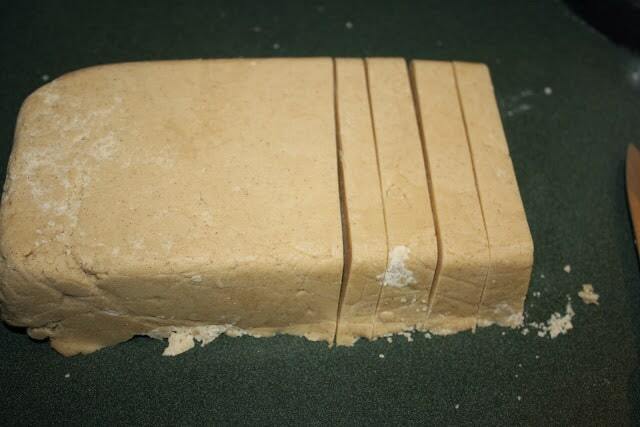 Line a loaf pan with plastic wrap and press cookie dough into pan. Try to be as even as possible. Refrigerate 1 hour until firm. 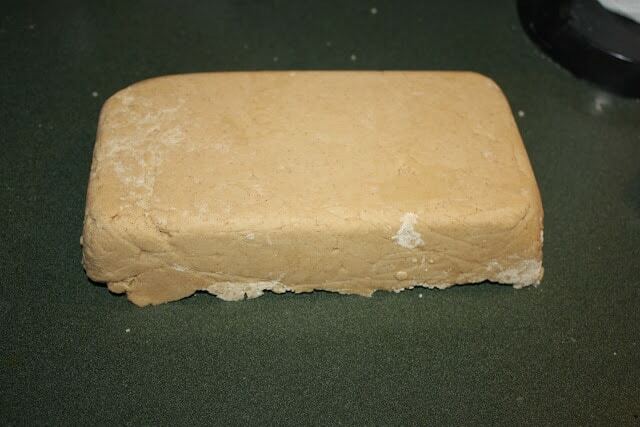 Remove cookie dough from loaf pan using plastic wrap to lift. 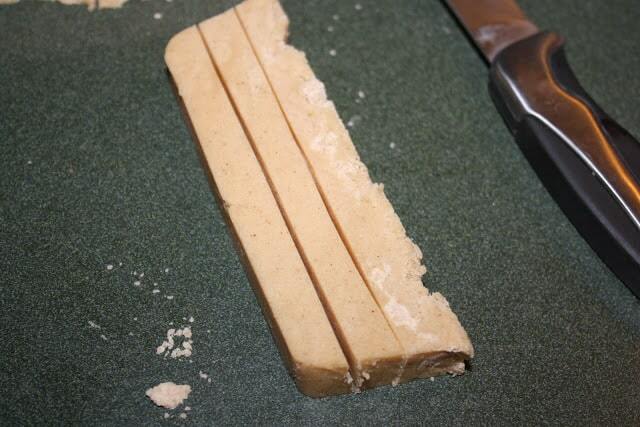 Slice cookie dough in 1/2 inch slices. Then cut each slice into 1/2 inch strips. Lay strips on GREASED cookie sheets about 1/2 inch apart. Bake until lightly browned at 325 for 11-13 minutes. Cool on wire racks. While cookies are cooling, mix powdered sugar and 2 tablespoons milk. Keep thinning out with milk until icing easily slides off a spoon. 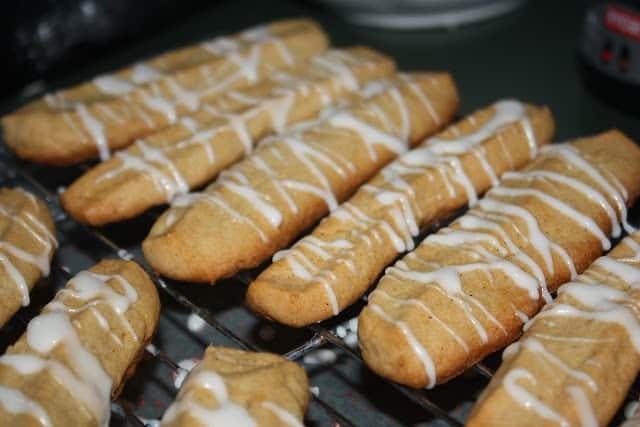 Drizzle icing over cookies. Linking up to these fabulous parties. 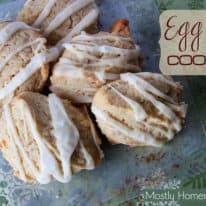 Check them out for more recipes and DIY ideas! 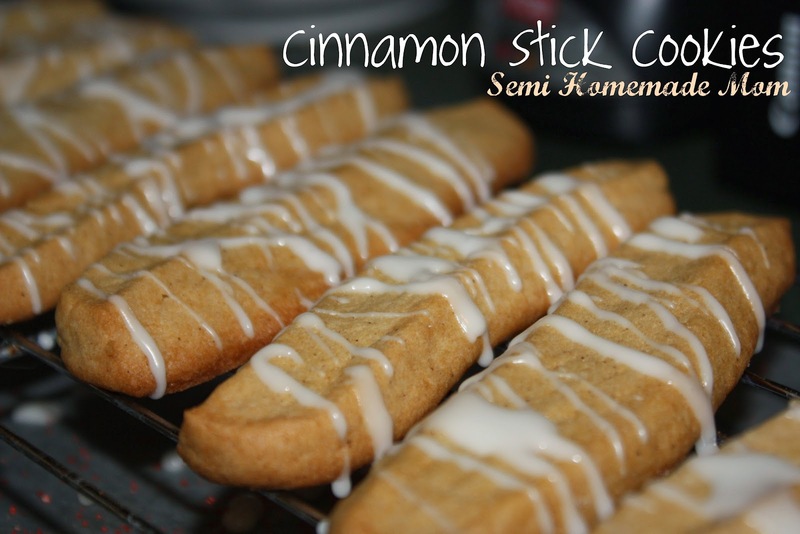 Cinnamon Stick Cookies and my Keurig 2.0! Just saw this over at EMM and had to stop by and say hello. These look great! Thanks for the recipe. Not only do these look so yummy, but they are genius too! Thanks for sharing at Church Supper! Love seeing new faces. Have a blessed week and please come back again next Sunday! Kelly, these look great, would be perfect with my morning coffee, my afternoon coffee or after dinner coffee! Pinning this! So glad you shared at the Church Supper! These sound so good! Pinning them right now! I just had to pin these too. They sound fantastic. Oh, I had to pin these & the soup! Can't wait to try them! How long do you think these will keep for, like in an airtight container? 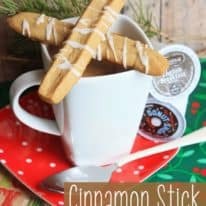 Having a holiday party next Sunday and want to make-ahead as much as possible. Thanks. I would make them a week ahead of time, as long as they're in an airtight container. They probably would last longer than that, but if it was for a party I wouldn't go longer in case they start tasting stale. Have fun at your party! 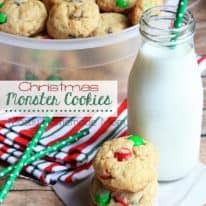 These cookies sound fabulous! Pinning!